Physical Therapists (PTs) have abundant career opportunities. That is the conclusion of the latest study by the Bureau of Labor Statistics. They expect the U.S. to need an additional 71,000 Physical Therapists by 2024. Several factors drive the need for more physical therapists. An aging population means that a higher percentage of Americans need physical therapy services. People also survive accidents and injuries that would have killed them back in the 20th century. Increasing numbers of people with chronic illnesses also lead to higher demand for Physical Therapists. Nevada takes the crown as the top paying state for Physical Therapists. PTs in the Silver State make an annual mean wage of over $120,000 per year. Rounding out the top five best paying states are New Jersey, California, Texas, and Alaska. Since Nevada is the best paying state, it is no surprise that PTs in the Las Vegas metro area earn a healthy annual mean wage of $131,000. Merced, CA; Napa, CA; Victoria, TX; and Morristown, TN are the other highest paying metro area. All of these metro areas pay Physical Therapists well above the median wage for median national earnings of $85,400. Home health care services offer the best compensation to Physical Therapists. A 2016 analysis found that the mean annual wage for PTs in this industry was over $98,000. Organizations classified as Offices of Other Health Practitioners and General Medical and Surgical Hospitals employ the largest number of Physical Therapists. The median income for Physical Therapists is similar to people in other healthcare professions that require an advanced degree. PTs make more than Occupational Therapists, Speech Language Pathologists, and Audiologists. However, their median earnings are significantly below that of Physician Assistants ($101,480) and Advanced Practice Registered Nurses- APRNs ($107,460). A U.S. News and World Report study identified Physical Therapist as the 14th best job in the country. The tiny 1.1% unemployment rate was a major reason for the ranking. The only downside is the stress level for PTs was labeled as ‘above average’. Many new Doctors of Physical Therapy (DPTs) graduate with substantial education debt. There are several programs available to help them relieve that debt. The Indian Health Service offers loan repayment awards of up to $40,000 in exchange for two years of service. There is also the Public Service Loan Forgiveness Program for PTs with qualifying direct loans who work for government or not-for-profit organizations that fit the criteria for this option. The VA also has an Education Debt Reduction Program. If the posted position qualifies, a PT can earn up to $120,000 over 5 years toward a qualified loan. Various tuition support and training programs are available as well. Doctors of Physical Therapy (DPT) are not the only people to benefit from increasing demand for these types of services. The Bureau of Labor Statistics notes that Physical Therapist Assistants and Aides can expect job growth of over 40% from 2014-2024. This growth far exceeds the 7% expected growth for all occupations. Physical Therapy Assistants (PTAs) earn a median yearly income of $56,610. Within the healthcare industry, home health care services offer the highest annual mean wage, $67,010, for PTAs. For Physical Therapy Assistants who are open to relocating for new opportunities, Texas, New Jersey, California, Florida, and Connecticut are the highest paying states. Professional associations such as The American Physical Therapy Association (APTA) offer job listings and career assistance. Sites that specialize in healthcare employment have Physical Therapist and Physical Therapy Assistant openings. General employment websites also have many PT and PTA openings. There is healthy job market in the field of physical therapy. 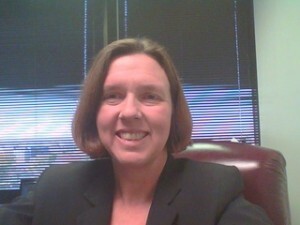 Susan Gulliford is a Resume Writer based in Schaumburg, IL. Previously she recruited for corporate and healthcare positions before transitioning into the career services field. Susan enjoys helping others with the job search process.